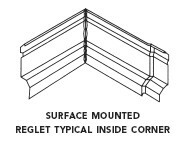 PRODUCT: Fry Reglet I-ST, Stucco Inside Corner 24 gauge Galvanized Steel Flashing. Zinc finish. (Outside Corner Shown In Photo). Price/Each. 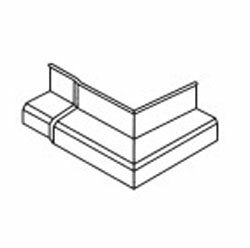 DESCRIPTION The Fry Reglet I-ST is especially made for stucco applications. Used over the baseboards, it provides the ultimate protection from the elements, and has comprehensive moisture prevention. Lightweight, functional, and easy to install. Get your fry reglet here at bestmaterials.com! Fry Reglet I STX, Stucco Over Block Inside-Corner Reglet, Galv.